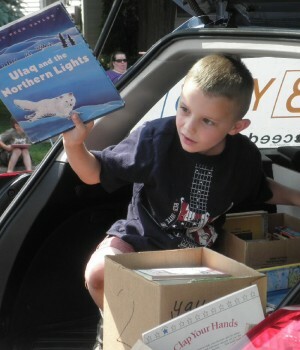 FULTON, NY – A young volunteer readies children’s books for distribution during last year’s Memorial Day Parade in Fulton. United Way of Greater Oswego County and the Literacy Coalition of Oswego County have once again partnered for their annual book drive for youth. Now through May 11 the agencies are collecting donations of gently used books of that would be of interest to toddlers through teens. The books will be distributed to children during the Oswego Independence Day Parade and the Fulton Memorial Day Parade. For more location and a list of drop off locations, contact your United Way office at 315-593-1900.